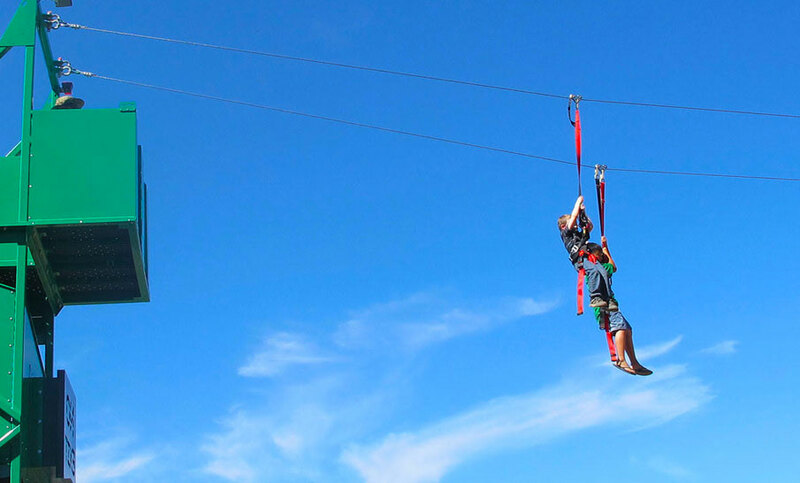 Our mission is to bring the one-of-a-kind experience of a zip-line straight to you. Finally, there is a thrill that not only the kids can join in on, but adults can too! We can deliver our 100-300 foot zip-line directly to your next event. We have a huge Corn Maze with over 12,000 feet of pathways. The Maze has a great game with hidden photo ops & numbers that give you a combination to pass through doors, used to enter and exit mazes one and two. All Maze Masters that conquer both mazes receive a prize! LOOKING FOR A PORTABLE ZIP-LINE? Zip-Line Rental Includes: 3 workers, 1 supervisor, generator to keep zip-line at full power. Please enter your contact information and one of our representatives will get back to you.